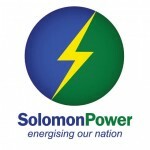 Solomon Islands Electricity Authority trading as Solomon Power (SP) seeks expressions of interest from interested candidates for the role of Program Manager to coordinate the Output Based Aid Program funded by the Global Partnership of Output Based Aid. The Government of the Solomon Islands is expecting grant-financing from the Global Partnership on Output-based Aid (GPOBA) administered by the World Bank, which will be provided to SP to implement an output-based aid (OBA) program to help qualifying households pay for the one-off upfront initial connection fee to access grid electricity. SP is considering recruiting an OBA Program Manager to coordinate implementation of the project. The objectives of the Program Manager’s assignment are to (i) support SP in the day-to-day activities related to the implementation of the OBA program in coordination with different SP departments; (ii) design and support implementation an OBA program awareness campaign; (iii) support SP in procurement activities; and (iv) prepare project implementation reports quarterly for submission to the World Bank. Working experience in Solomon Islands, or other island states is an asset. Expressions of interest close on Tuesday 12 July 2016. Terms of reference document can be obtained from Solomon Power Corporate Services Division or at the reception desk at SP’s Ranadi Office or by email pradip.verma@siea.com.sb. The term of three (3) existing directors has already expired and the current term of an additional two (2) existing directors will expire shortly. As required by the State Owned Enterprises (SOE) Act of 2007 and the 2010 Regulations, the Chairman of the Board of the Solomon Islands Electricity Authority(SIEA), now trading as Solomon Power (SP), hereby calls for Expressions of Interest from those persons who wish to be considered for the position of Director of the Board of SIEA. In total there are five (5) vacancies which will need to be filled up. SIEA is an autonomous, Government- owned statutory authority (State Owned Enterprise), which is responsible for the generation, transmission, distribution and sale of electricity in the Solomon Islands. Over recent years a significant improvement in the commercial sustainability of SP has been achieved. After a long period of poor financial performance the organization has made an excellent turnaround over the last 4 years, generating healthy profits and now with a strong balance sheet. It is time now to take the organization to newer and greater heights. SIEA has embarked on an ambitious plan to increase electricity accessibility to more Solomon Islanders in not just Honiara and other urban centres, but also at other outer islands and rural locations, and to improve affordability. SP is all about Nation Building.